We’re not an HVAC company or an auto repair shop…so why are we talking about maintenance plans? Do you have a website? Oh, that’s why. Many companies spend a lot of time and energy getting their site up and running, then dust off their hands and call it done. This approach, to say the least, is rather counter-productive. Signing up for our maintenance plan is like hiring a combination janitor/security guard—but for your website. We look out for suspicious characters and activity and work to keep your site running smoothly, dealing promptly with any issues that come up and preparing your website for all the changes that happen constantly in the ever-evolving web world. It’s important to keep your site up-to-date for security and compatibility reasons. Did we mention the part about constant changes in the ever-evolving web world? If you’re not keeping up with your site, these changes could cause some major problems. The WordPress Core is made up of all the main WordPress files making up your WordPress installation (everything that isn’t a Theme, Plugin, File Uploads, or your Database). Think of it as the engine in your car. It’s important to keep these up-to-date, because new versions often contain security vulnerability fixes, optimizations, and new features. Plugins are everything else under the hood (alternator, belts, battery, spark plugs, etc). Same as with the WordPress Core, plugin updates contain security fixes, bug fixes, and new features. It’s important to keep these in sync with the latest WordPress version so problems don’t occur. Developers update plugins to keep current with the latest WordPress version, so keeping both these areas updated is important. 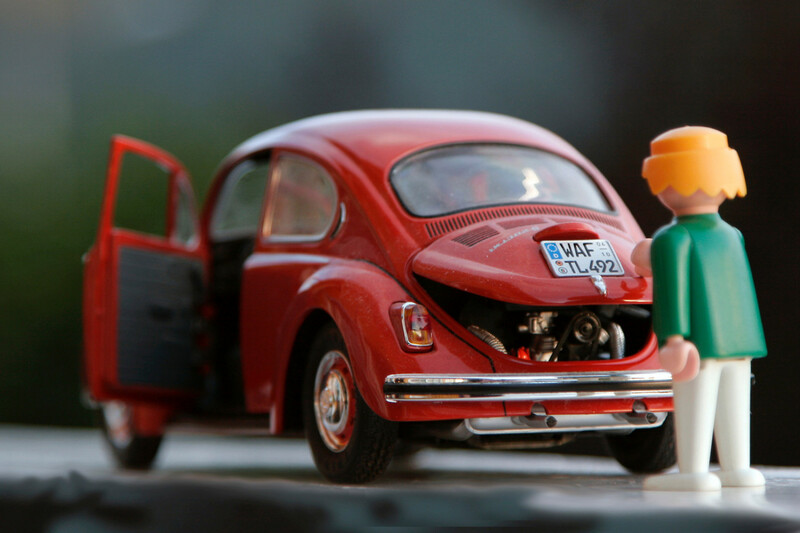 Themes (or the body of your car) can also have problems with security vulnerabilities. For this reason, unused themes should be removed to minimize risks, especially if the theme wasn’t created by a reputable source. We don’t want to scare you, but there are lots of bad guys (or just dumb guys with nothing better to do) out there spending their days figuring out how to hack into unprotected websites. Websites, potentially, like yours. Websites should have security in place at all times, but our maintenance plans also include our time in monitoring website activity using security plugins and firewalls. We’ll get emails if there is any suspicious activity, so we can look into it promptly. We create daily backups of your website so, if anything goes wrong, the whole shebang can be rolled back to a previous version. This also gives everyone peace of mind when you need us to make any major changes or updates to your site. It’s rare that anything would go wrong in these situations, but just in case…well, we like to know we’re covered. The backups also act as a copy of your website in case anything were to happen to your hosting. When a hosting account expires, you’re only given a short while to save your files before everything on the account is deleted. Talk about a stomach-dropping, heart-sinking situation. Not so when you remember Sleeping Giant has a backup handy! Hoo boy, shall we list all the horrible things that could possibly happen if you DON’T have one? Yes. Yes, I think we shall. If your website isn’t kept up-to-date, it is vulnerable to hackers. WordPress developers constantly look for vulnerabilities in their code and regularly roll out updates with fixes. But you can’t take advantage of their hard work if you don’t apply those updates. Websites, especially e-commerce sites, constantly take in data that can eventually bog down a database and make your website sloooooow. If you’re not monitoring and updating your site, you’ll miss out on new code optimizations from the WordPress team and plugin creators that would help fix these issues. If you neglect your website for long enough, you’ll find that, someday, it just won’t work like it’s supposed to. When you realize this and bring in someone to work on it, they’ll find a big, sloppy, outdated mess. And let me tell ya, it won’t be as easy as updating to the latest WordPress version. If your site is old enough, key parts of WordPress’s functionality will probably have changed…and who knows what will break on your site when the new version is implemented. Oh, and your plugins probably won’t work with the new WordPress version, either. At this point, it’s often easier to just start from scratch with a brand new website. Which will take more time and more money, of course. If you’re on our maintenance plan, we’ll keep on top of all this stuff for you. We’ll suggest updates for your site as new methods and technologies roll out, ensuring your website remains current and easier to work on in the future. This also has the added benefit of spreading out the effort and cost, so you don’t have to drop a bunch of dough on an overhaul every couple of years. And if you do decide you want a completely new design, it makes it much easier for us to use the structure of your current site as a starting point—again, saving you time and money. So…was all that about as clear as mud? Feel free to contact us if you have questions or would like any clarification. And, of course, if you’d like to start up your own maintenance plan, we’d be happy to chat. Call us, email us, send us a singing telegram…we’re ready to help you get started!